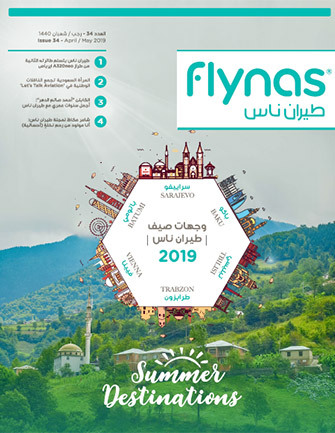 flynas magazine presents the Arab world's cultures and destinations in a way that you've never seen before. Every issue, we tell you where to eat and sleep, what to buy and what to watch in our Two Months section. In Three Ideas, we introduce the region's clever thinkers and big ideas. In Four Places, we travel across the region searching for hidden stories in the Middle East's most exciting destinations. 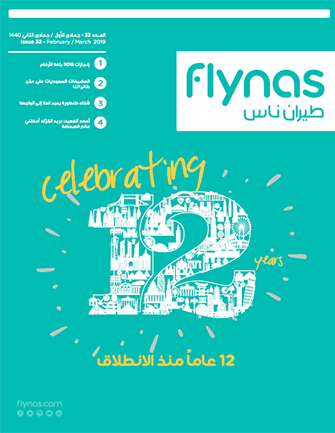 Our magazine also goes behind the scenes at the airline, bringing you closer to your flynas.